It's time for new crypto and this is Stellar! Stellar won the 13th vote on CoinDeal and now joins our platform. 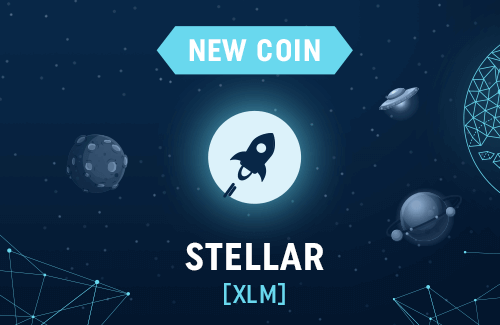 Stellar [XLM] gained great popularity in our voting for the new cryptocurrency. He managed the largest number of your votes and thanks to that you can now enjoy the new XLM/BTC market on CoinDeal. Stellar is the eight largest crypto in terms of capitalization. The Stellar network was created as a payment network enabling sending money in various currencies at a very low cost. With Stellar you can convert funds - FIAT and cryptocurrency also. The basic assumption of the Stellars creator is the fight against poverty and increasing access to financial services in developing countries, where not all citizens have bank accounts. The core of the network is Stellar Core. It does the tedious work of verifying transactions between users using the Stellar Consensus Protocol (SCP). Are you excited? Because we are! Let's see what is going to happen on the new XLM/BTC market!